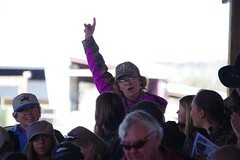 This video was taken at the Wild Horse Corrals just out of Burns, Oregon. It offers general information about adoptions and interviews people who have adopted or want to. 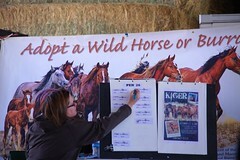 One lady stated wild horses have a higher level of loyalty than domesticated horses. She forgets that the wild horses came from domesticated horses and are feral horses, which is a free-roaming domestic horse. What she believes about the feral horses says more about her than them, and it tells me she likes wild or feral horses. To many myths have been built around the free-roaming horses on public lands and accepted as fact. The Wild Horse and Burro Program is paying the price and has struggled for 45 years. It is now failing. That does not mean we can’t have myths, just that we need to manage wild horses using reality even though people are passionate about their wild horses.